Christmas Packages now available at Jurys Inns Cheltenham! 11th January 2019 - Additional Christmas Party Night Added! At Jurys Inn Cheltenham we can cater for large and small celebrations. If you want to hold a private function on a specific date not listed above, please contact our dedicated team to discuss your bespoke requirements. We are on hand to ensure your event is one to remember. WHAT BETTER WAY TO START THE CHRISTMAS SEASON 2018! BEFORE THOSE “COLD DECEMBER NIGHTS” ADD A DASH OF BUBLÉ! menu and dine in seasonal surroundings. Whether it’s for a group of 10 or 200 - There is room for you all to enjoy! Fancy something a little more formal this Christmas? At 19:30 we will serve your sumptuous three course meal. Once complete our live band will begin their legendary performance to end a night that you won’t forget. If you prefer a quieter traditional meal without all the fuss, our festive option would be perfect for you. We offer the option to dine in our restaurant or to book your own private room (Subject to availability, minimum numbers do apply). Who doesn’t love a party, especially when it’s family friendly with entertainment for all the kids! 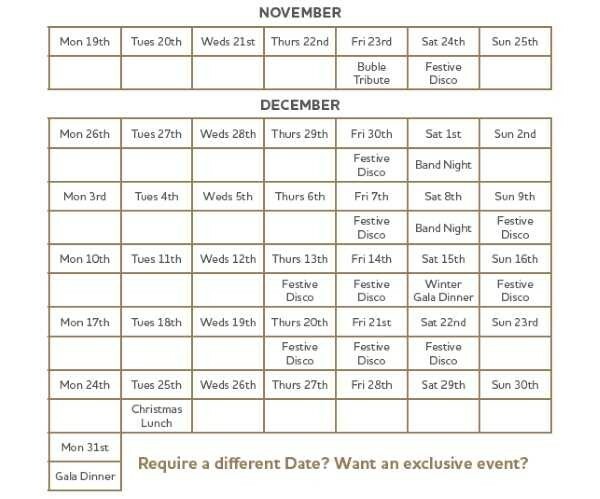 This year we will host a Christmas disco with entertainment for you and the family to enjoy! Christmas is a time to be enjoyed, so don’t defrost the turkey and forget about the washing up. Join us at Jurys Inn Cheltenham this Christmas day for a stress free afternoon. Enjoy the ambience and a very warm welcome whilst dining on an irresistible traditional lunch. You don’t need an excuse to dress up and go out on New Year’s Eve! Start your evening with a glass of wine and selection of canapes. An evening spent dining with friends and family, an array of delightful courses and live entertainment it’s the perfect way to see in the New Year. Book before the end of July to receive a 10% discount off private and shared package prices. For further information, including menus and pricing please click the More Details link below. 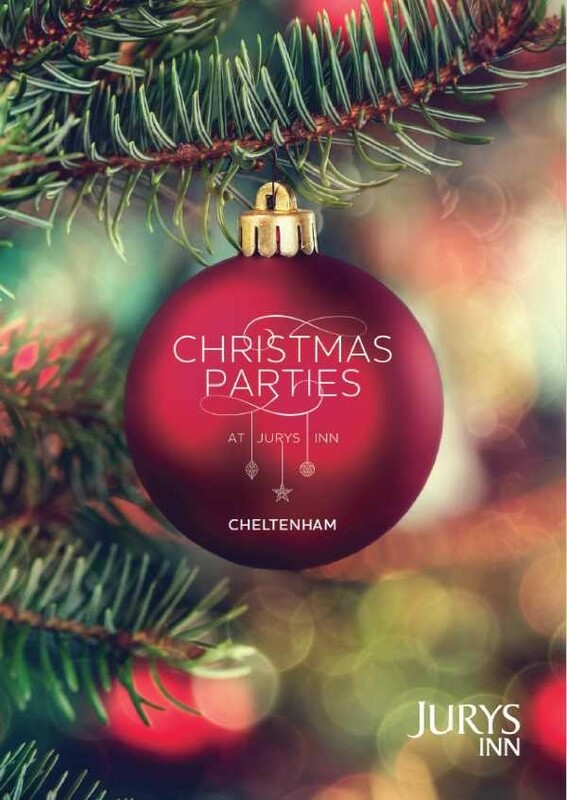 External Website: More details about Jurys Inn Cheltenham and Christmas Packages now available at Jurys Inns Cheltenham!